MP Oksana Dmitriyeva is asking the Prosecutor General to start a criminal investigation into Anatoly Chubais – the head of the state-run Rusnano Corporation, well known for his role in Russia’s painful transition to capitalism. Dmitriyeva, who represents the center-left party Fair Russia, claims Rusnano has transferred billions of rubles to foreign funds causing tremendous losses to the Russian budget. 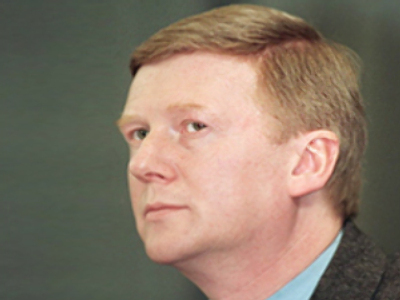 The MP follows a long time tradition of Russian leftists who want to oust and prosecute Chubais. 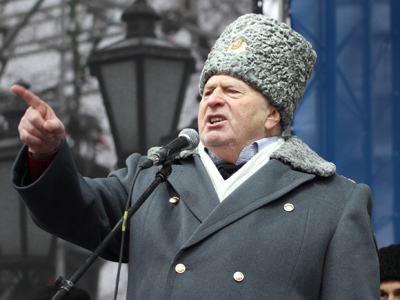 However, other opponents blasted him for the 1990s economic reforms, which they see as unjust and harmful to Russia’s international position, and Dmitriyeva chose to concentrate on his more recent activities. According to Dmitriyeva’s letter quoted by the Izvestia daily on Monday, she wants law enforcers to pay closer attention to the results of the 2013 Audit Chamber inspection of Rusnano activities. The MP writes that the classified document contained enough material for at least eight charges against Rusnano managers, but for some reason they failed to raise any interest among prosecutors. The MP details the possible crimes as tax evasion, abuse of office, money laundering, embezzlement, intentional bankruptcy, and copyright violation. She mentions the purchase of know-how from foreign firms with no use of the received patents and no returns on investment, money transferred to foreign funds and either written off as losses or left idle with no return, or building a useless semiconductor plant in Russia despite experts’ repeated warnings that the price for its product might fall sharply. In addition, the lawmaker questioned Rusnano’s report of attracting 130 billion rubles ($3,7 billion) of foreign investment into Russia, noting that 80 billion rubles were intangible assets which sometimes were not even convertible into real technologies. According to the Audit Chamber report, Rusnano paid about 47 billion rubles($1,34 billion) to foreign firms in various joint projects and only managed to return half of that money, Dmitriyeva writes in the letter. 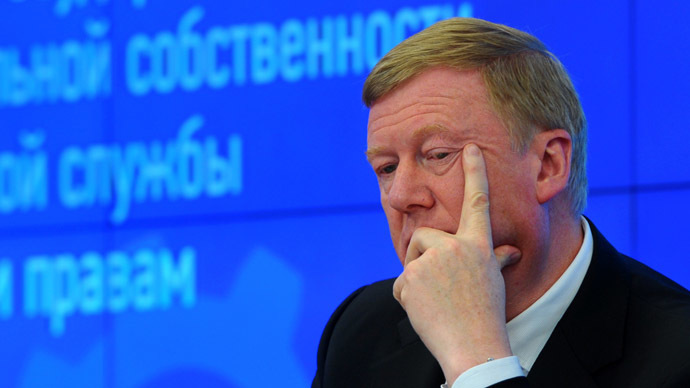 Rusnano declined to officially comment on the lawmaker’s accusations, but Anatoly Chubais called Dmitriyeva’s move self-promotion connected with the approaching municipal elections in Russia’s second largest city of St. Petersburg. “Old love never rusts. Oksana Dmitriyeva demands to instigate a case against Rusnano managers. What can be her reason? Oh, yes, elections in St. Peter are close,” Chubais wrote in his Twitter on Monday. According to media reports MP Dmitriyeva might run for St. Petersburg governor in September. The head of the Russian Communists, Gennady Zyuganov, told reporters over the weekend that his party might support Dmitriyeva if she runs as a candidate for Fair Russia. The two major leftist parties are expected to have talks on the subject on Tuesday. Anatoly Chubais has headed Rusnano since 2008 and previously he headed the all-Russian power grid RAO UES and oversaw the reforms in the company. However, he is best known for his work as Deputy Prime Minister for the Ministry of Privatisation from 1992 and the Presidential Chief of Staff from 1996. 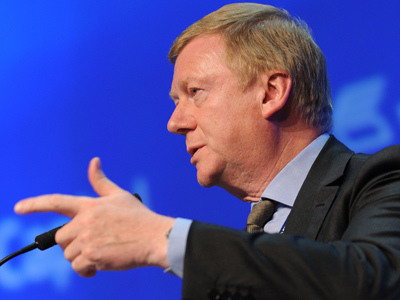 It is believed that it was Chubais who masterminded and executed the market reforms in post-Soviet Russia. For this role he has become a major target, and not only of leftist critics, but possibly of actual would-be assassins. 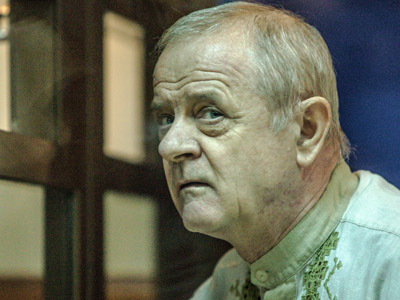 In 2005 a retired colonel of the GRU military intelligence was arrested and charged with an attempt on the life of Chubais, who at that time headed RAO UES. The suspect spent several years in custody, but a jury twice ruled him not guilty and the Supreme Court supported the acquittal. In 2010 he was released with state compensation and an apology from the prosecutor, but almost immediately got arrested again over an attempted mutiny.